THURSDAY, March 29, 2018 (HealthDay News) -- America's opioid epidemic is taking a mounting toll on the nation's children -- some as young as toddlers. The number of youngsters hospitalized for opioid poisoning tripled between 1997 and 2012, and the largest overall increase was among toddlers and preschoolers, according to the American Academy of Pediatrics. There are several ways to keep kids safe from these potent painkillers, says Sheila Goertemoeller, a drug abuse prevention specialist with the Drug and Poison Information Center at Cincinnati Children's Hospital. Store all medications, especially prescription painkillers, in a secure place. Count and monitor the pills; and listen for the click when resealing the container. Get rid of unused painkillers. Call your local poison center at 800-222-1222 for advice on how to safely dispose of them, or take them to a hospital, doctor's office or pharmacy. Be sure grandparents keep their medications secured. 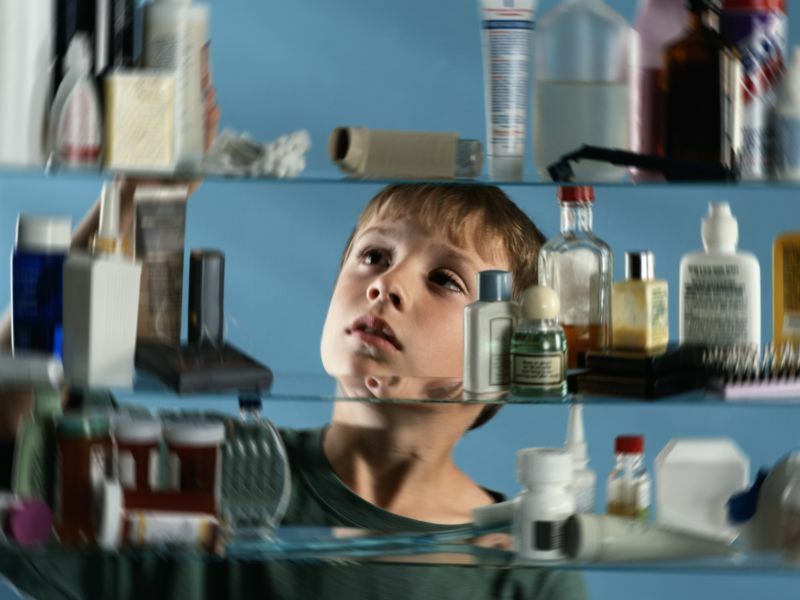 Children are more likely to suffer overdoses in grandparents' homes, because many older adults take multiple medications and use pill organizers, which are not child-resistant. Know the signs of an overdose and how to provide first aid. Symptoms may include dizziness, fainting, vomiting and difficult or ragged breathing. If an overdose occurs, dial 9-1-1 or the poison center immediately. Text "poison" to 797979 to have the poison center number added automatically to your contact list.